Liu’s addition will strengthen the company’s technical sales support across multiple species. 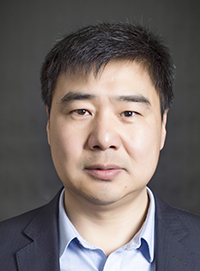 Zinpro Corp. announces that Lewis Liu joins Zinpro Corp. as technical sales manager-China. In this role, Liu helps manage regional sales and marketing activities to better serve Zinpro customers in China as they seek to improve animal wellness and performance with Zinpro Performance Minerals. Before joining Zinpro, Liu worked for a major animal feed supplier for more than a decade, serving in a variety of roles, including pig feed technical service manager and product technical manager. Liu earned his master’s degree in animal husbandry from Shenyang Agricultural University and his undergraduate degree in animal nutrition and feed science from Henan Agricultural University. As the industry leader in trace mineral nutrition for livestock and poultry, Zinpro is committed to delivering the people, products and educational tools needed to help customers improve the performance and profitability of their operations.